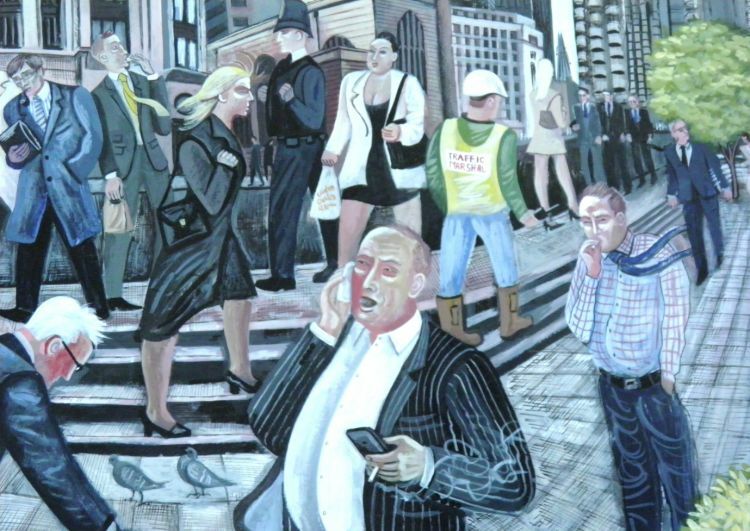 Increasingly recognised as one of the great contemporary painters of London and Londoners, Gray’s work explores the modern city in all its guises. Walking city streets with sketchbook and pencil in hand Gray takes his inspiration from the real life he encounters. Back in the studio each piece realised celebrates the day to day struggles, ambitions and desires that the urban environment provokes in the life of the everyman and woman. 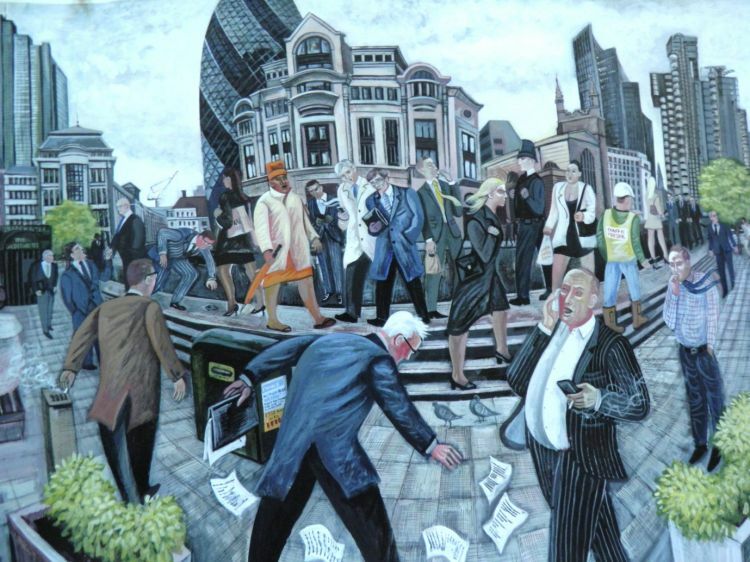 GX Gallery brings together a collection of original Ed Gray paintings and prints from London and other major world cities which have been especially chosen for Searcys. In addition we will unveil a new two metre painting of the city which Ed completed following a residency at the club. This exhibition is a must-see for lovers of London and all those who have ever been lured by the bright lights of the city. A chance to meet the artist and hear the stories behind the work! Ed Gray will be offering tours of the exhibition which can be booked by e mailing Searcys Club. ​London artist Ed Gray graduated from a Fine Art degree in 1995 and after a series of jobs to fund his desire to continue drawing and painting he trained to be a school teacher and taught art and design at a Peckham secondary school for four years. Increasingly Gray’s work was becoming commercially successful at home and abroad. In 2001 Ed Gray was awarded a sabbatical from his successful career as an art teacher to complete a Fellowship residency for the Masterworks Foundation of Bermuda, a museum whose collection also houses work by Winslow Homer, Georgia O’Keefe. This experience led Gray to leave his teaching career and he has worked as a professional artist ever since. Primarily a painter of London, his birthplace, and inspired by artists such as William Hogarth, Edward Burra, Stanley Spencer, LS Lowry, Jock McFadyen and the Tintin cartoons of Herge that he loved as a boy. In 2008 Gray relocated to New York, Mexico and Tokyo to depict life in these cities. In 2009 Gray was chosen to represent England for the official International Fine Art collection for the 2010 FIFA World Cup South Africa. His depiction of a Cape Town township football match featured in a global touring exhibition. ‘One Year’ a documentary film about Ed Gray’s paintings has been recently acquired by the Tate Britain Archive. A new catalogue of Gray’s work ‘Time out of Mind: Painting from the Floating World’ will be published in 2012 by GX Gallery. Ed Gray is represented by GX Gallery.